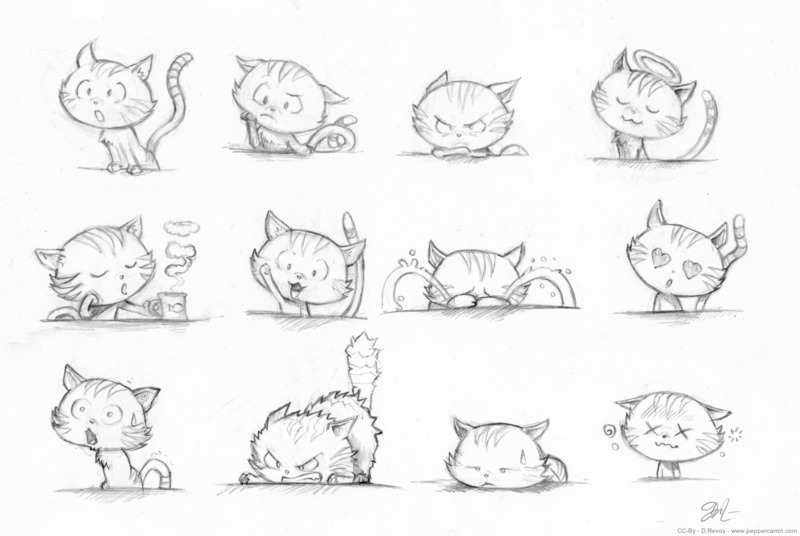 Here is a quick sketch session to celebrate the International Cat Day! Happy day to every cats around you ! License: CC-BY David Revoy, www.davidrevoy.com, 8 august 2017 . I didn`t know there was an interational Cat Day! By the way, do you know about a good free open souruce book editing software?, Im planing to do an artobook.